Stores that sell a variety of goods want their customers to purchase as many items as they want each time they come in. You might think it stands to reason, then, that a store should increase the size and number of their shopping carts. Ideally, this would encourage customers to toss more goods in their carts during their stay. However, while shopping carts do play an important role for some customers and shopping styles, they also impose some limitations. Retail stores should invest in carts for their shoppers, yes; but carts alone aren’t enough. Shopping baskets provide a crucial alternative to carts in several key areas: size, weight, space, and convenience. But if you’re still not convinced that your business needs baskets as well as carts, let’s break down all the reasons in favor of this move. The majority of your company’s success depends upon customer satisfaction. What makes customers happy to shop at a store, and what keeps them coming back? Believe it or not, the carts and baskets on offer make a huge difference in this regard. These tools are what allow shoppers to pick items up and carry them around the store comfortably. And the more options, the better. Every customer is different. Some will come in to pick up a specific item, others will browse for a handful of items, while others still will come ready with a list in their hand and fill up the largest cart available. You have to make accommodations for each type of customer, ensuring that they can get what they need without hassle. While shopping carts are perfect for those big trips, they’re cumbersome for anyone grabbing a few smaller items. Baskets provide an important alternative for these customers. Without them, shoppers either have to juggle their goods to the checkout or drop a couple of items into a vast cart, wasting valuable space that could be used by another customer. On that note, baskets are simply easier to maneuver, especially in stores with narrow aisles or a number of turns. Even customers who plan on buying a lot of items might opt to use a shopping basket for this reason alone. Of course, big baskets can hold a lot, but they can also become heavy and hard to carry if filled too much. Again, the more options, the better. Stores can invest in smaller shopping carts in addition to large ones so customers can maneuver more easily and still hold a lot. Or, it can invest in basket carts, which combine the best aspects of baskets and carts. These are essentially frames with wheels that baskets lock into to create a makeshift cart. The best part about basket carts is that the baskets can be removed from the frame at any time for easier navigation through aisles, and then brought back into the frame to carry the weight the rest of the way. Basket carts provide a happy medium that will satisfy most shoppers and improve both mobility and navigation. A good number of people who walk into a store don’t have a plan in mind. They might be loosely looking for a few things or just browsing what’s on offer. Whatever the case, you can bet these customers won’t want or need a shopping cart right away. If they decide to pick up a few things after all, they’d more easily grab a basket for their impulse purchases. In fact, providing mini shopping baskets around your store may encourage more impulse sales. These smaller baskets allow shoppers to carry several small items with ease and ensure that they won’t misplace or drop them along the way. Shopping baskets are also easy to customize in just about every way. You can purchase baskets of different sizes, materials, colors, and more. Choosing the right baskets for your business is important, too. Think about which color best matches your company’s brand and/or logo. Some custom shopping baskets even provide spaces for you to print your logo to increase brand recognition. If your store sells mostly smaller items, smaller baskets might make more sense. Stores with a wider variety of goods may opt for baskets of various sizes, including tall baskets, rolling baskets, and standard baskets. Always keep the needs and habits of your customers in mind when making this decision, and know that there is a perfect shopping basket for every situation. Everyone knows from experience that shopping carts tend to take up a lot of space. Larger retailers often have shopping cart corrals on the sides of the store and in the parking lot to make room for all these objects. While all this is sometimes necessary, offering shopping baskets can greatly reduce the amount of space taken up by carts and cut down the time and effort it takes for employees and customers to retrieve carts from corrals. Again, not every customer will need a large shopping cart for their trip. If enough baskets are available, many customers will use these instead. This means more carts will be available for those who actually need them, fewer carts will clog up space in the store and parking lot, and less effort will be spent bringing these carts back and forth. It’s a win-win for every customer and staff member.It appears that both customers and businesses benefit from the use of shopping baskets. 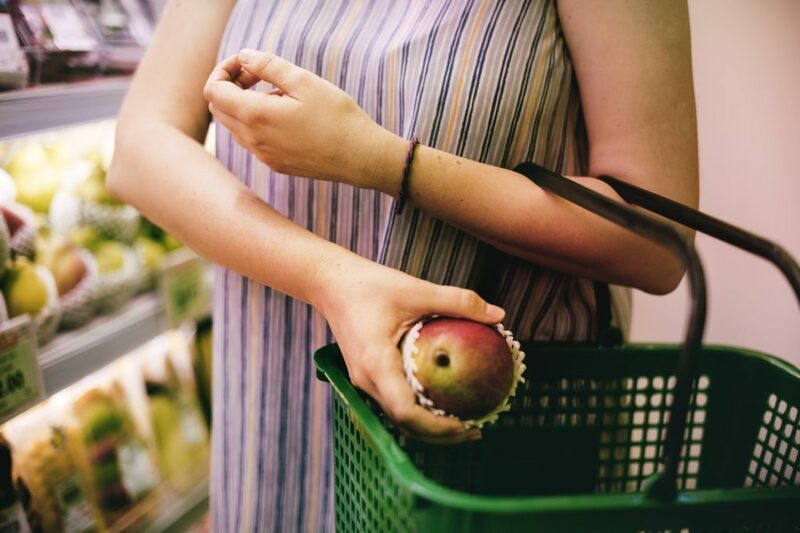 Carts have their place as well, of course, but offering baskets to your shoppers will make for a better experience overall and encourage them to come back for more. Good L Corp. makes it easy to customize your baskets to make them more visible or to match your company’s aesthetic. For more information on us, our mission, and our products, call us today at 855-823-6349!